Wow this thing is pretty good for a $5 earbud. I connected it to a 61-key basic Casio keyboard and played random keys/things for about half an hour. The default piano setting sounds very piano-ish. A lot of closed over/on-ears sound less piano-ish than this. Successive drum “beats” did not have bloat or sprawl or awkwardness. The string medleys sound good too, but perhaps not as good as the piano. Playing the keys end-to-end back-and-forth did not reveal anything offensive either. It doesn’t come with a 1/4″ adapter, but it can fit into just about any 1/4 to 1/8 adapter, I just hooked it to whatever random adapter was on the keyboard. In a moderately busy coffee shop, with people coming and going, drinks getting maid, people chatting, music playing in the background, this performed as expected. 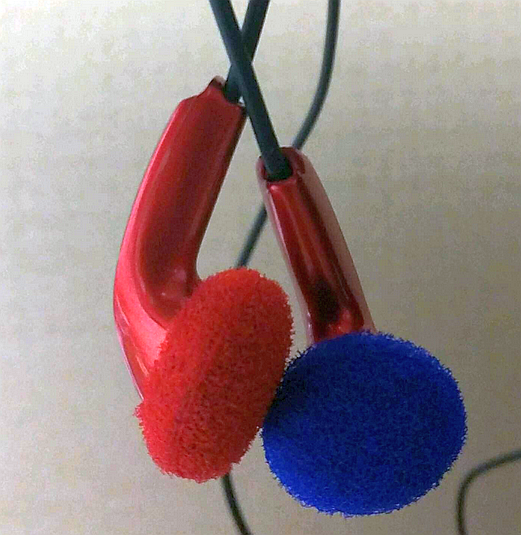 As these are earbuds, they do not provide a lot of isolation. You can hear more of the outside world sounds with these, which is a plus if you want to have awareness of what’s going on. Or even go “Spy Vs Spy” and listen in to what people are saying when they assume you can’t hear them because you are wearing earphones 🙂 I was able to hear someone calling me from across the room while listening to music on these. I put Radiohead’s “Spectre” on repeat, as it has quiet and loud moments. During its most quiet moments, the music playing through the coffee shop’s speakers was louder than Radiohead in my ears. At the loudest parts of the song, Radiohead won and the background noise was not distracting. This was more or less the same with other songs/genres I played. Louder and busier songs stood above the crowd noise. Even though they are not great at isolating, they were pretty good at leakage. I couldn’t hear them more than a few inches away from my face (with the busy coffee shop sounds in progress). Overall, they did better than I anticipated. These are not for immersive listening at such places, but if you want to have some music in your ear and still have a solid awareness of your coffee shop surroundings, these are good. This happened accidentally. I rarely wear headphones when brushing teeth, and when I do, it’s over/on-ears, I never used in-ears because they go in your ears and when you are brushing teeth, your mouth moves in strange ways and takes the ears with it along for the ride. So I just did a full teeth-brushing and flossing session with them and it was a success. I tried not change the routine to make this a “real world” test but this is not a scientific test. They did not fall off the ears and were a more comfortable brush than when wearing over/on-ears. Since they just sit on the ears, there’s both air and room for self-maneuvering for the ears. 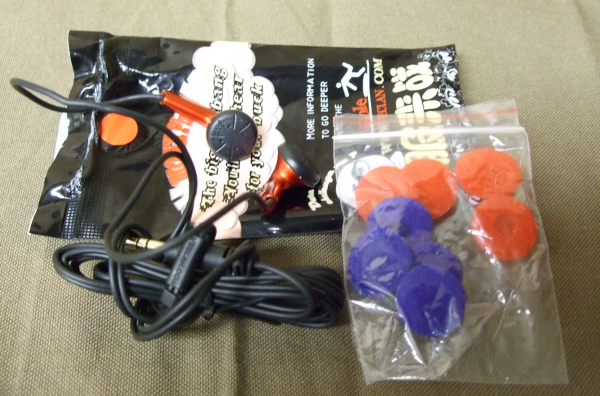 The other risk of course is that they will fall in the sink and get all wet, worst case scenario they short, or the earbud covers get wet and you have to replace them (they include multiple pairs in the box). 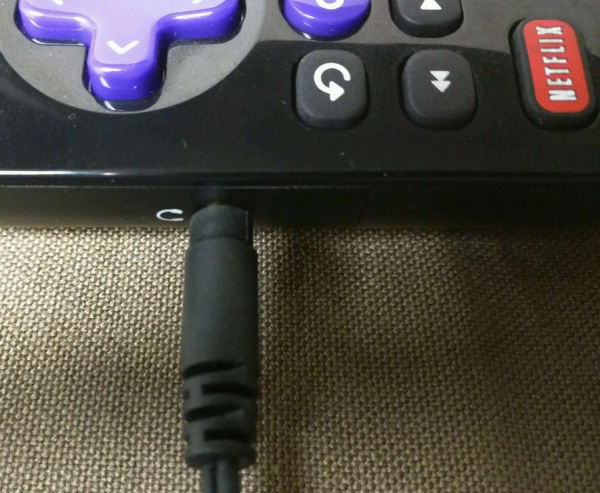 Recent Roku remotes have a convenient headphone jack, and that can be handy for some Roku-watching habits. I’ve used it as such for a few TV hours so far, and it’s serviceable as a convenience. It won’t replace the immersive experience or the richness of sounds of a bigger set, and at times you are reminded that you are using tiny earbuds, but that’s a reasonable compromise all things considered. That Roku remote jack seems to have some issues with some headphones (in terms of plug and jack being the right lengths) but it’s all good with the red Monks. It turns out that the easiest way to be able to quickly tell Left from Right was literally under my nose. These come with two different colors of earbud covers/socks. So the answer is simple, use a different color on each side, eg Red for Left and Blue for Right. Or put an earbud sock only on one side. Duh 🙂 The bag includes two pairs per color, so you have plenty but be gentle when putting them on. One of the two developed a little hole while I was trying to wrap it over the earbud head. Now feeding it another stable, Sonic Youth’s 25 minute and 49 second long “Diamond Sea” (the “Destroyed Room” version), all is well, except around the 13 min 33 second mark it gets rather piercing. Next up, Audioslave’s “Out of Exile” (128K mp3), and perhaps it is a perfect low-fi match for these earbuds, no complaints about the performance all things considered, I even forgot I was wearing $5 earbuds 🙂 The Rage/Audioslave/Soundgarden instrumental “Wall of Sound” is definitely not as expansive nor as explosive as it is with bigger headphones, but that’s to be expected. After finishing the album I had zero winces. I was expecting about half a dozen 🙂 But more importantly, I never felt taken out of the album.